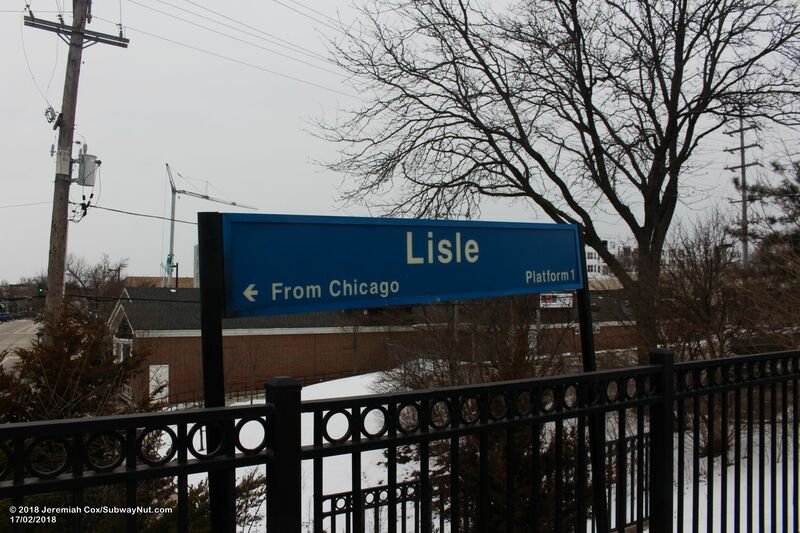 Lisle is the one station in this Village with trains stopping at the Lisle Commuter Center as the concrete signs say at the entrance contemporary depot that even includes it's own a pedestrian tunnel. 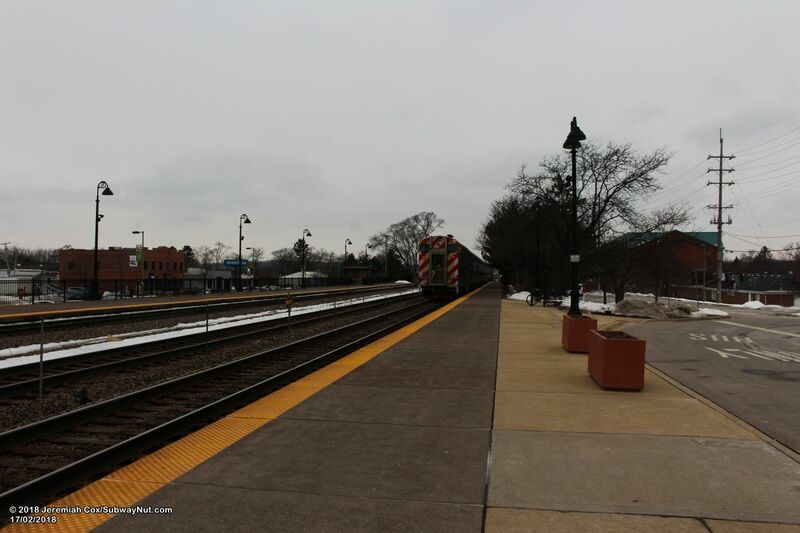 The line is fully grade-separated in Lisle, with no grade-crossings between the station and the next stop 1.5 miles east at Belmont, and just one right before the Naperville Station, 4 miles west. 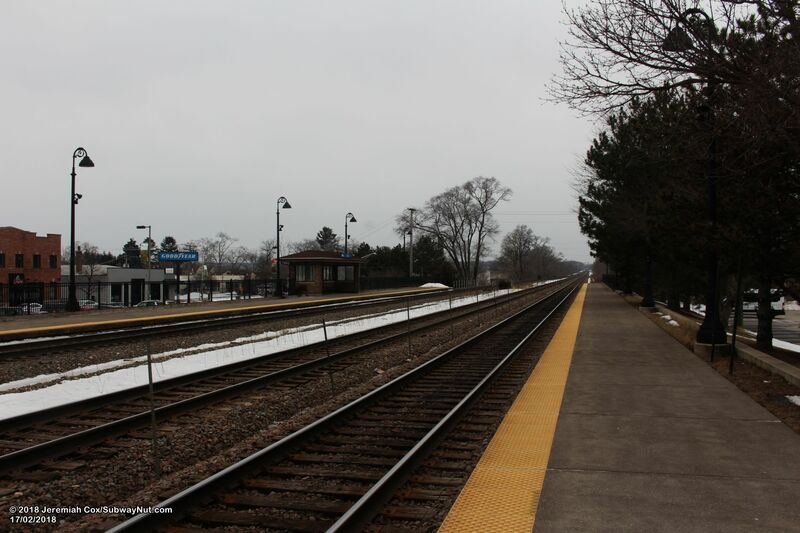 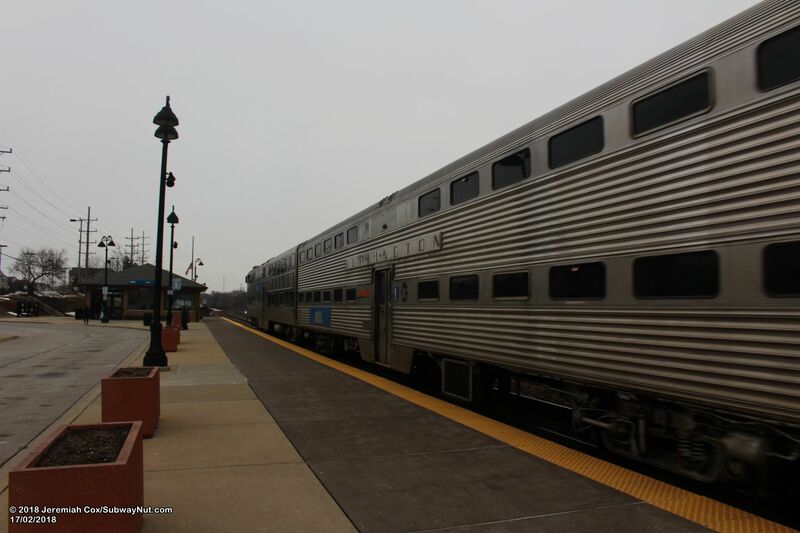 The station contains it's own PACE shuttle system with 8 rush hour only routes providing service to the station, 7 of these routes connect with Lisle and surrounding residential routes. 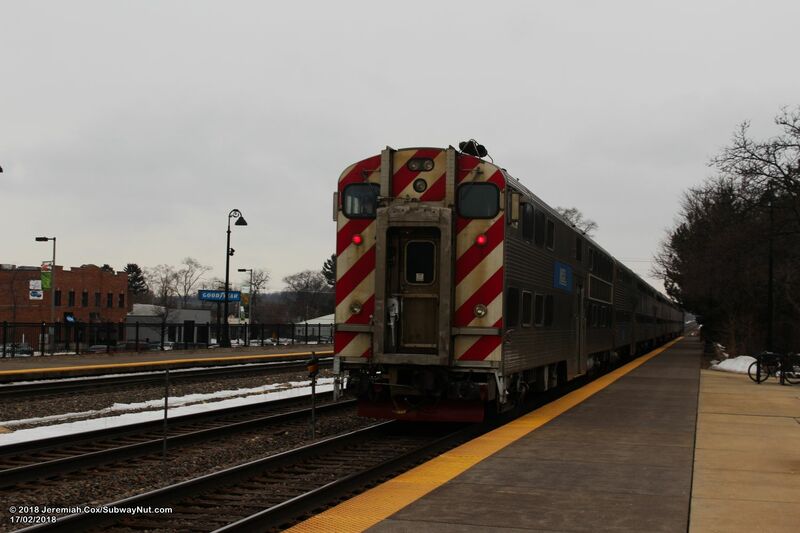 Route 829 is a reverse commute route and provides service to the Naperville Office Corridor, connecting train passengers with office parks. 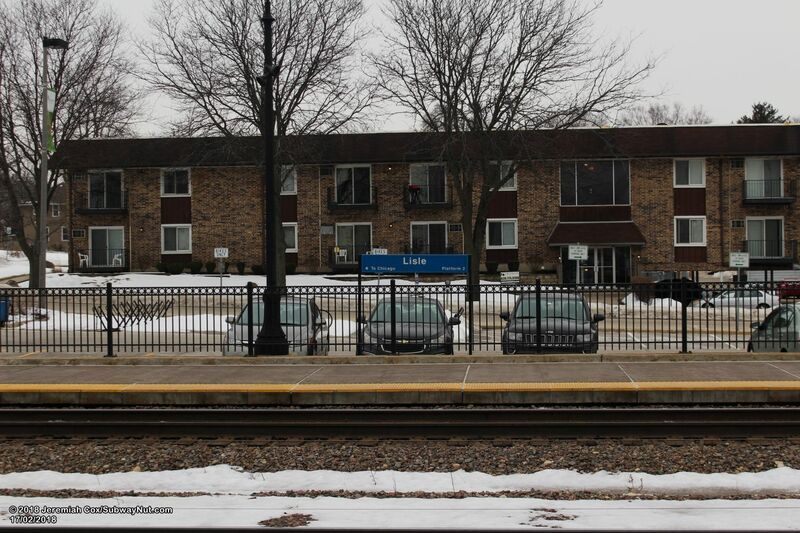 A unique feature of these shuttle routes (except route 829) is in the evening buses only pick up passengers at the train station and drivers adjust their routes depending upon passengers destinations, with buses on the first and last trips covering destinations on multiple bus routes. 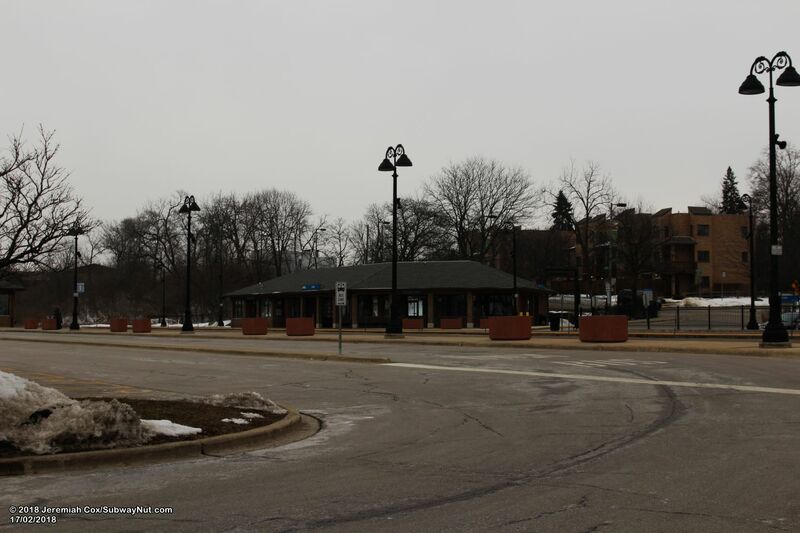 These buses all stop at a bus loop (all must line up back to back and depart at the same time) directly along the outbound platform. 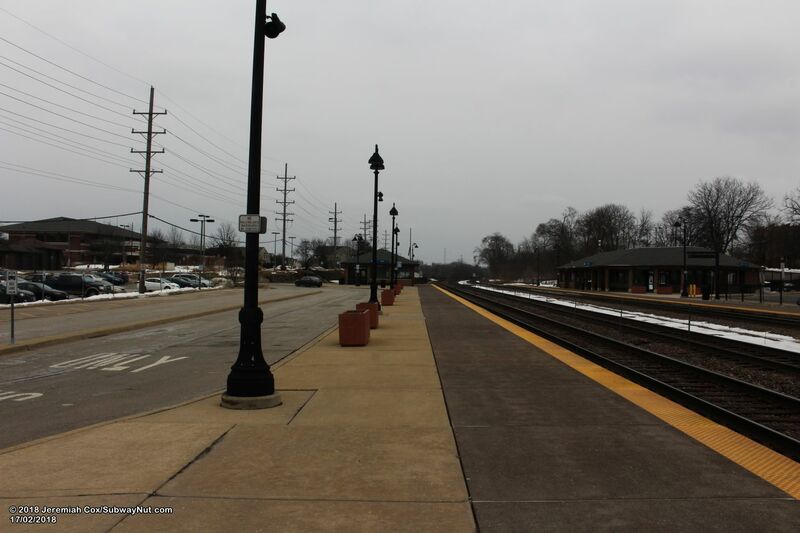 This station consists of a two side platforms for the 3 track line. 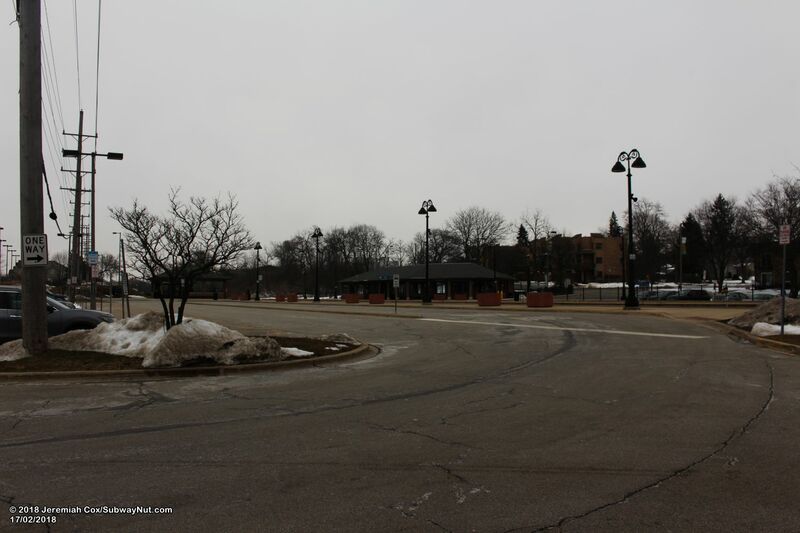 These platforms each have their own parking lots with over 300 spaces on the outbound side, and a smaller 85 space parking lot (off front street) on the Inbound side. 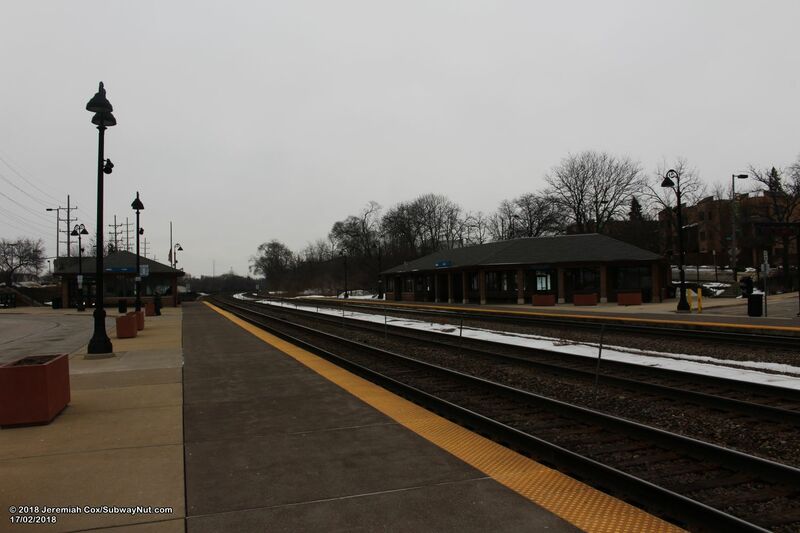 Towards the eastern end of the platforms are two small brick fully enclosed portal buildings, with benches along one wall for waiting passengers, in these buildings a staircase (with wooden railings) and an elevator lead down to the pedestrian tunnel. 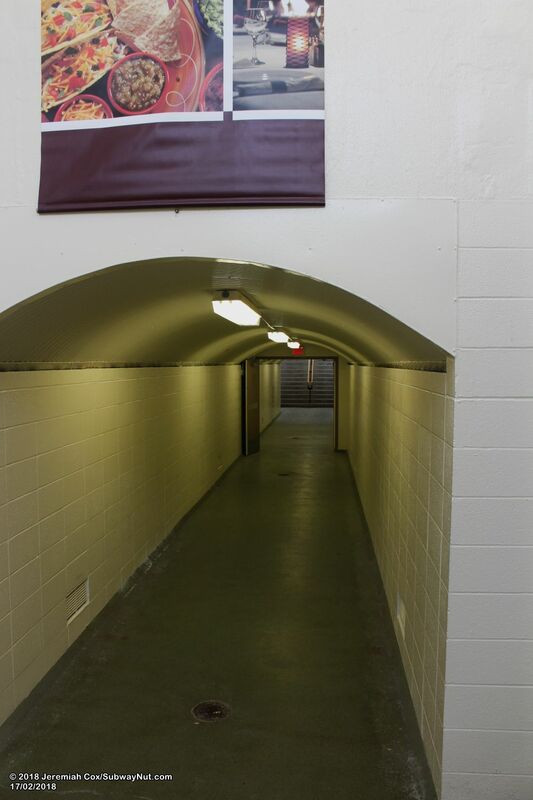 This tunnel has white walls, a curved corrugated ceiling with a doorway (and doors that are normally open) in the middle of it. 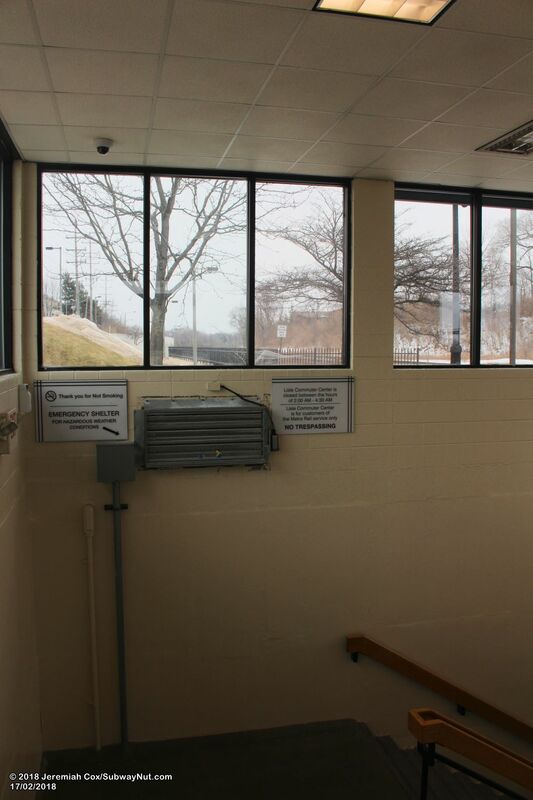 I assume the doors in the middle are for fire code reasons. 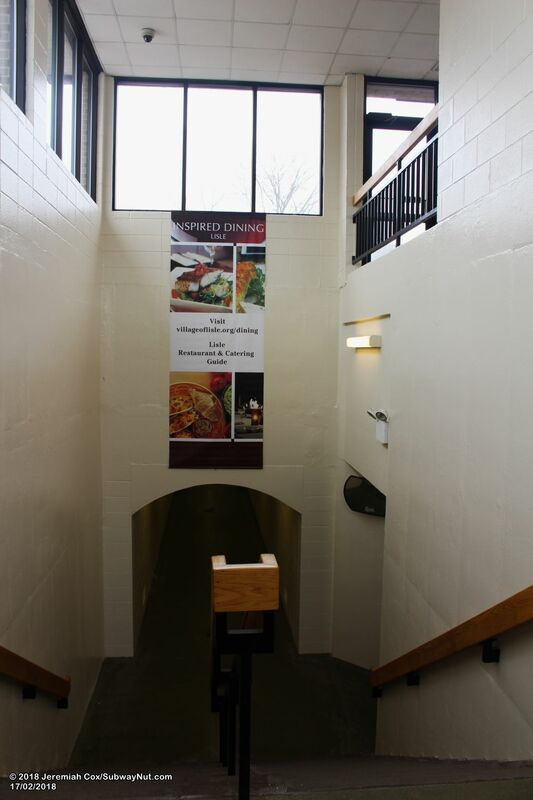 The tunnel (and Leslie Commuter Center) is closed between the hours of 2:00am and 4:30pm and signs say it is for customers of Metra only and no trespassing. 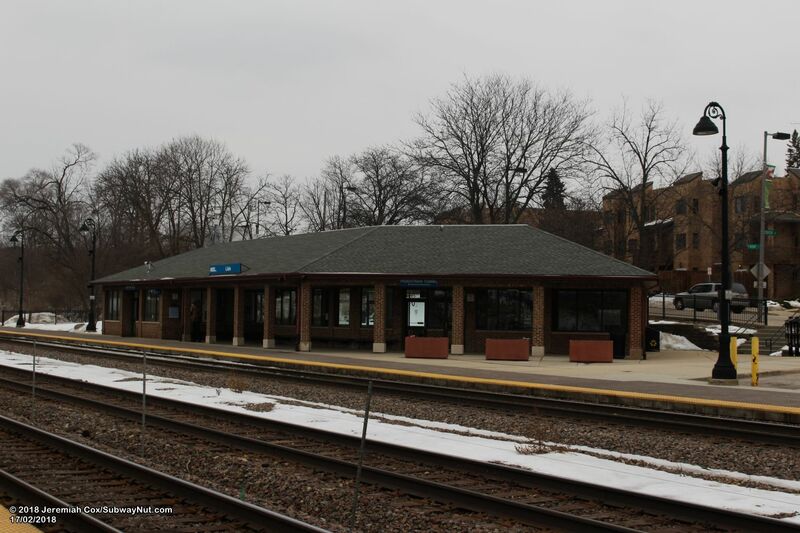 The Inbound platform's portal roof connects directly (although it's a separate building) to a larger brick station house (with limited seating) open for one weekday rush hour shift. 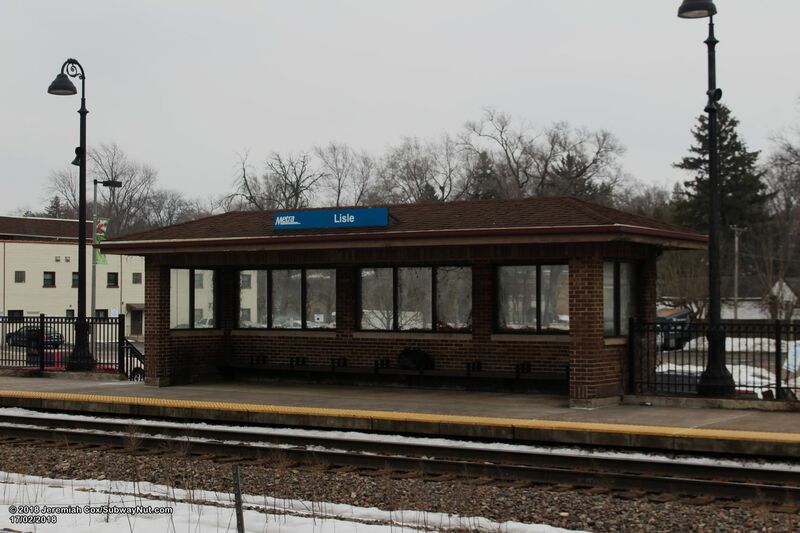 This platform contains an additional shelter towards its eastern end above the Front street parking lot (which slopes downward towards Main Street). 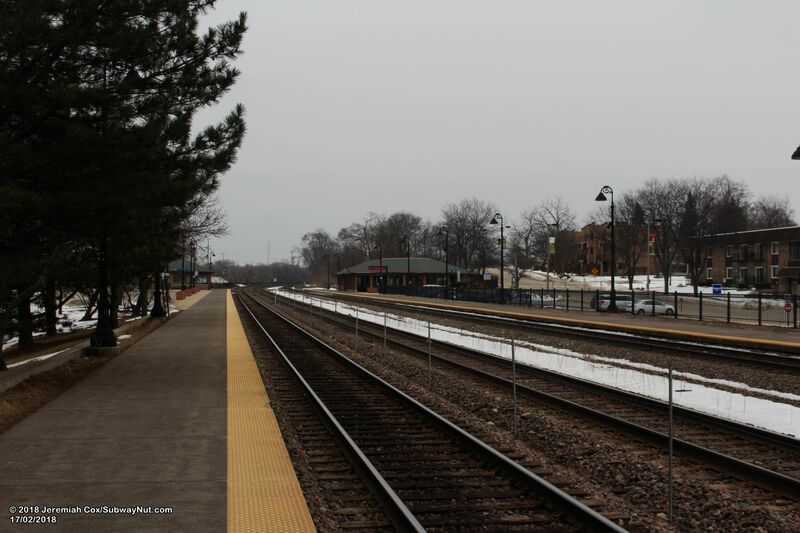 Main Streets crosses under the tracks at the eastern end of the platforms. 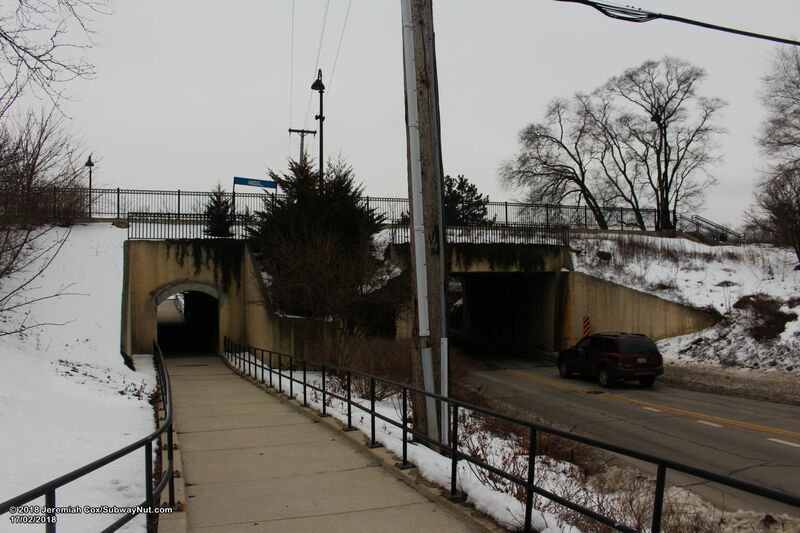 The sidewalk of Main Street passes through in its own separate tunnel on the east side of the street with a staircase up to the parking lot on the Inbound platform, and a ramp behind the Outbound platform leading up to the station. 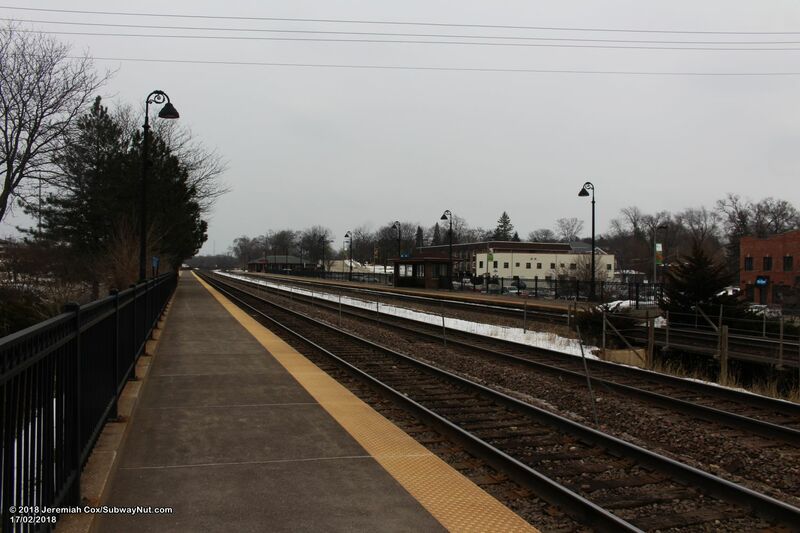 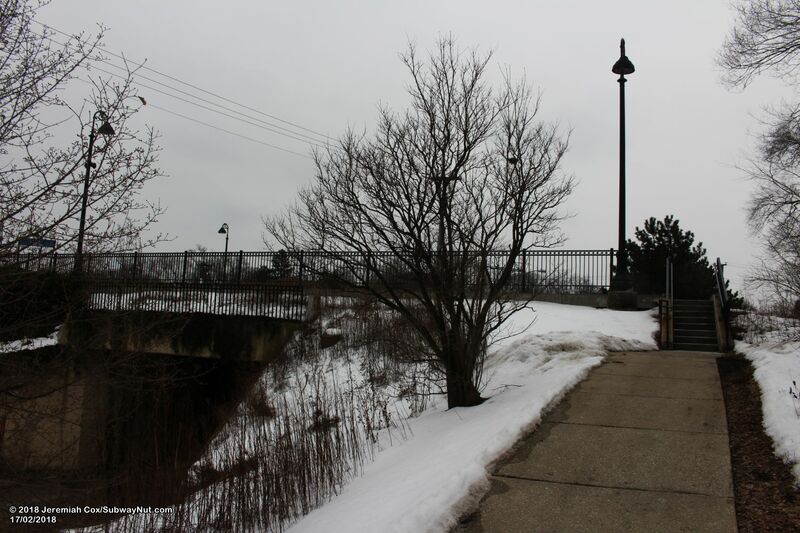 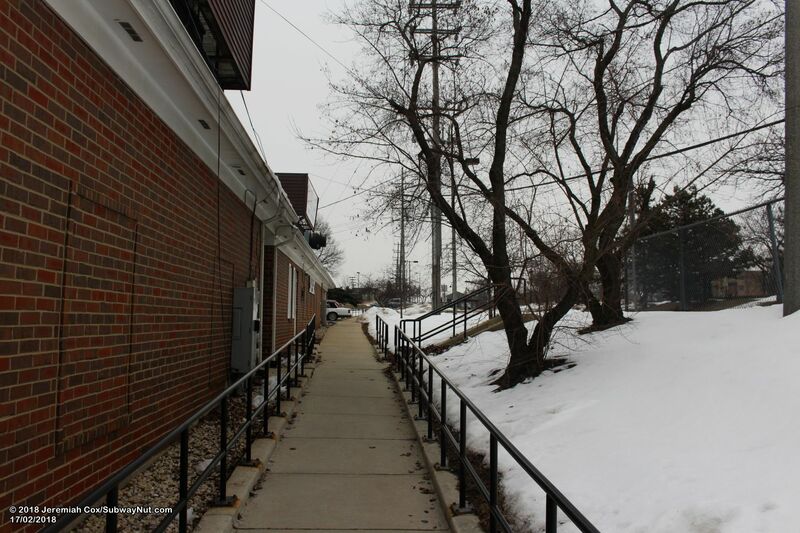 The extreme western end of the Outbound platform has a staircase down to the sidewalk (which lacks a tunnel under the tracks) on the western side of Main Street, leading into the shops of downtown Lisle.